There is nothing more magical than the streets of New York City during Christmas and the holidays. It kicks off with the Macy’s Thanksgiving Day Parade and ends with the ball drop in Times Square. Look anywhere and everywhere to find a festive touch. 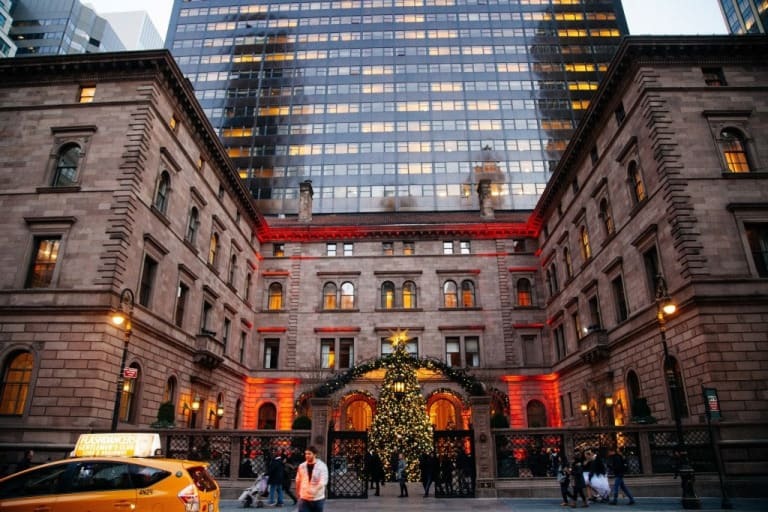 Classic holiday events in New York City are a favorite tradition that families enjoy time and time again. 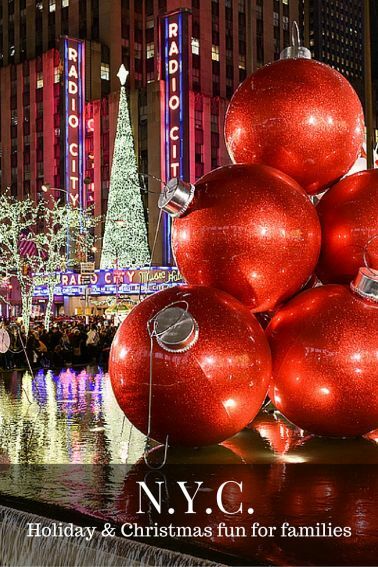 Here are some our favorite things to do during Christmas in New York City. Updated for 2018! New York City is home to some of the best plays anywhere. Start a holiday tradition by heading to Broadway to see a show! Looking for something Christmas themed? You can’t go wrong with the classic Radio City Christmas Spectacular where the Rockettes will dazzle with their stunning dance numbers. Be sure to arrive early to allow time to seek out fun photo opportunities with a Rockette located on the first mezzanine and Santa located in the Grande Lounge. Families may also enjoy a show at The Theater at Madison Square Garden. 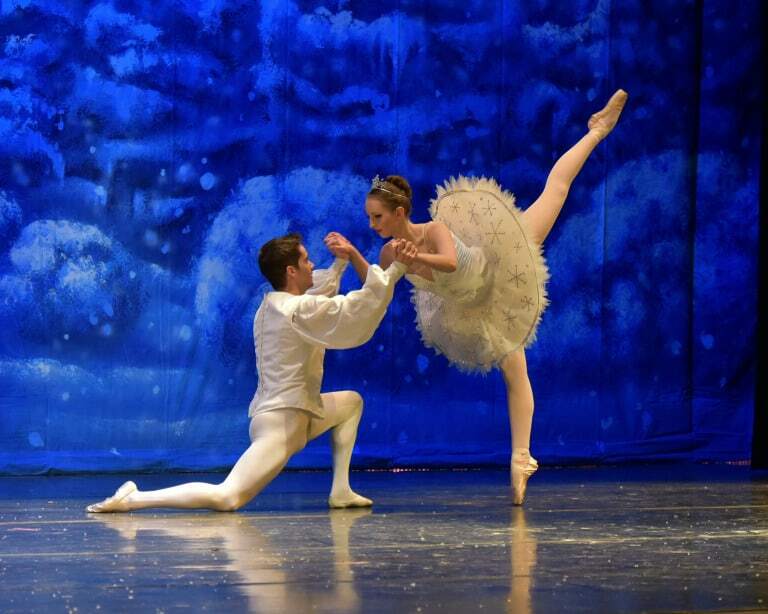 One of the hottest holiday tickets in town is George Balanchine’s The Nutcracker™ performed by the New York City Ballet from November 23 through December 30, 2018. Kids and adults alike will enjoy entering the world of toy soldiers, mice kings, and sugar plum fairies. Nothing says Christmas in New York City like one of these classics! Strolling down Fifth Avenue between 59th and 34th streets will treat you to some of the best sights in the city, namely the decorated department store windows. Some of the most famous windows you can find are at the department stores of Saks Fifth Avenue, Lord and Taylor, Bloomingdales, Bergdorf Goodman, and Macy’s. A stop by Macy’s in Herald Square will not only treat you to wonderful window displays, but you can also have your own Miracle on 34th Street moment while visiting Santa in Santaland. In November and December, kids can also enjoy the Puppet Theater on the 8th floor. 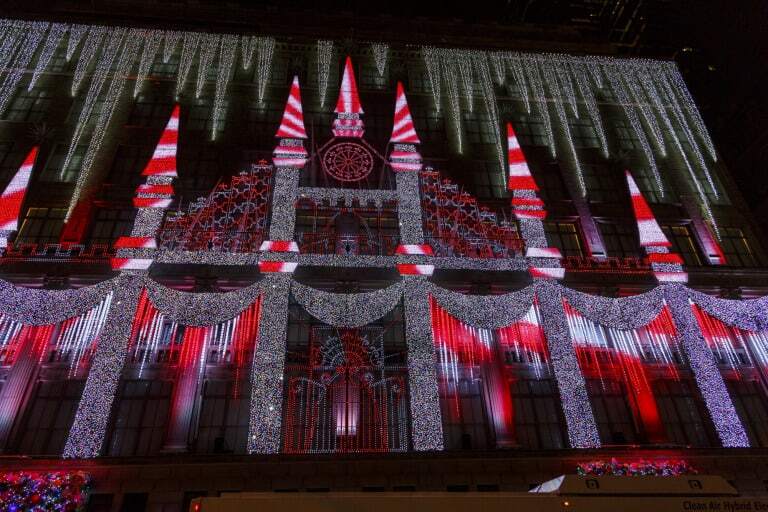 For the epitome of a Christmas in New York City experience, visit Rockefeller Center. Take in the decorations, the famous tree, or lace up your ice skates and step onto the ice. There are also a variety of great stores to browse in and pick up some holiday gifts. Gray Line Bus Tours are available all year round but during the holiday season you can hop aboard for a holiday lights tour and see all the festive sites around the city. 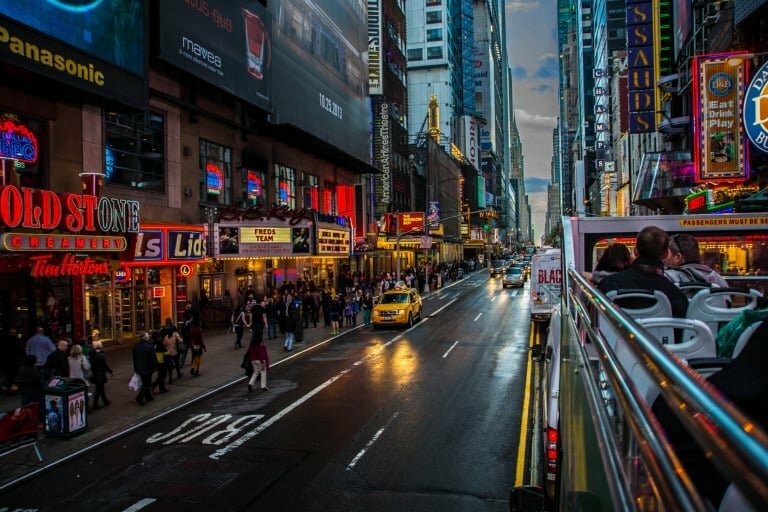 Times Square, the laser show at Grand Central Station, Rockefeller Center, and St. Patrick’s Cathedral are just some of the highlights on this tour. NYC Kids Tours were designed with kids in mind. The entire family will enjoy site-seeing some of the city’s best attractions! Teachers have created activity guides for your children that include photo assignments, games, music, and other hands-on fun. The guides are even leveled by age so all of your kids can get an age-appropriate experience! For something a bit different, try The Christmas Lights Tour from A Slice of Brooklyn guided bus tours. Fun from the time your family steps onto the bus until you hop off filled with cool local knowledge – and a bit more of the holiday spirit, this is one fun family activity that you’ll be talking about long after the ride is complete. Check for hotel availability in New York. The tree lighting at Rockefeller Center is certainly something special to do this time of year. Christmas in New York City really begins when this tree is lit. It will be lit for the 2018 holiday season for the first time on Wednesday, November 28 at 7pm. The huge Norway Spruce will be illuminated every evening thereafter through 9pm on January 7, 2019 so go at the beginning, middle or even after the season to see this beautiful site. 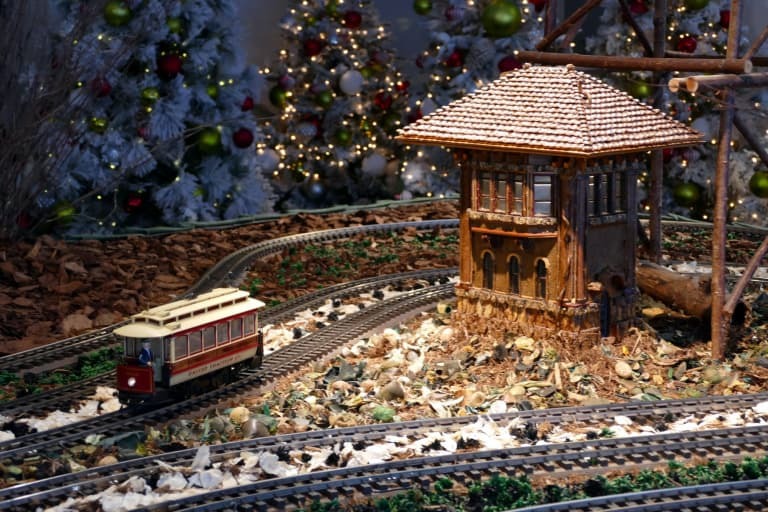 The Holiday Train Show at the New York Botanical Garden features model trains traveling around miniature replicas of famous New York City landmarks. Throughout the season, visitors enjoy special events featuring puppet shows and visits with Thomas the Train. The Botanical Garden has other fun programs such as Holiday Adventures where kids can enjoy a variety of activities. A New York staple, Central Park, is the perfect place for a wintertime stroll or a carriage ride. For a fun, traditional wintertime activity, take the family ice skating! The kids will love the puppet theater at The Swedish Cottage. This year, the theater is featuring “The Three Bears Holiday Bash,” where Baby Bear invites Santa to star in the annual holiday show. Stop by Bryant Park and visit the Winter Village. Take a twirl on the ice at Citi Pond, the only place in the city where you can skate for free! Afterward, ride the Le Carrousel which will be sure to delight the kids. From October 2018 through the beginning of January 2019, visitors can enjoy the Holiday Shops at Bryant Park, more than 100 boutique style shops are available for your shopping pleasure to get that perfect “Christmas in New York City” gift. There are so many hotels to choose from in New York City! During this time of year, many offer fun holiday-themed packages during your stay. The Omni Berkshire Place is located just steps from some of the city’s best shopping! Book new reservations by December 1 and save with reduced holiday room rates and packages. Stays at the centrally-located Westin New York at Times Square will also get you a room at the center of the action. Check their website for specific holiday specials and rates and enjoy breathtaking views of the city. Chelsea’s Hyatt House is a great choice for families who want a kitchen to cook in. For those looking to stay somewhere other than Manhattan, check out the Hampton Inn Brooklyn Downtown for quality lodging that won’t break the budget as well as the New York Marriott at the Brooklyn Bridge. For a less cookie cutter stay that offers some funky decor, check out Brooklyn’s Box House Hotel in Greenpoint. If you’d like to visit the city but stay outside of it, then the Ritz Carlton in White Plains might be just for you. Throughout the holiday season, kid-friendly activities and workshops will be held at the hotel such as gingerbread decorating workshops, breakfast with Santa, and menorah lightings. A trip to the city to enjoy the holiday magic is a short train ride away. Look for the best hotel prices in New York. Making memories? Check out these amazing photo spots in Central Park. Beautiful pictures and great suggestions! Another great addition to a family visit to NYC is Family In New York! They offer private custom New York tours. 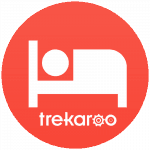 They can create a custom tour for your family with your unique, interests, needs, and schedule in mind! A custom tour with Family In New York is sure to be the highlight of your visit!